This morning, our youngest son is off to do some service hours, more than likely lasting all day, working with his Scout Troop at a Salvation Army Food Bank. This year it is falling on Holy Saturday. Normally, in our family, we keep from Good Friday through the Easter Vigil, a quiet, contemplative time. We try to keep the quiet, somber mood of Good Friday going, until “Christ is Risen!” is shouted late into the night on Saturday night (really, Sunday morning!!). This year, however, is slightly different. Our focus is different, and our practice is different. We will be attending Divine Liturgy, and the community here celebrates the Resurrection tomorrow morning, whereas we are used to a rather robust all-nighter at our old parish. It sort of fits with our lives right now. Yesterday was a major step in faith for our family, in that we formally announced that we are relocating. 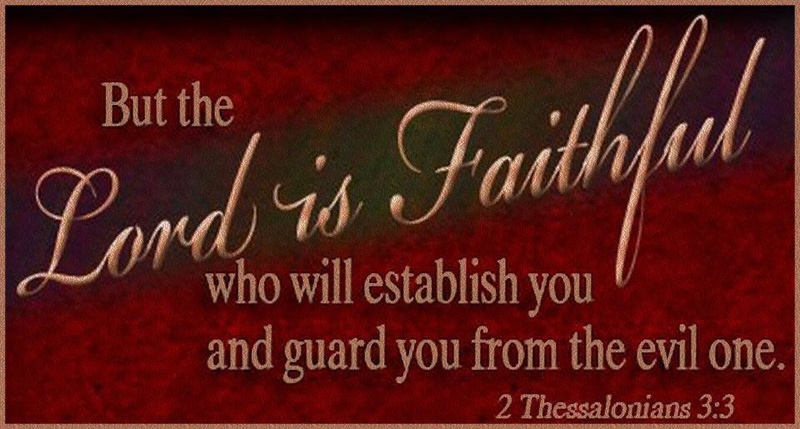 We have set dates and we have made plans….we are moving on in our lives, totally relying on the promises of faith. We are striving for a better life, a better environment for our family to thrive. But it is mired with risk; much risk. We are willing to take that step, however, because we all feel God is calling us to this decision. It has been many years in the making. 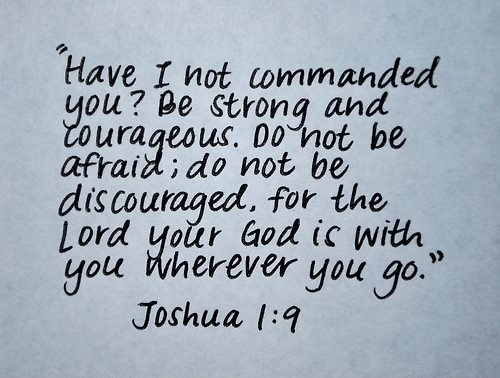 The service our son is doing today, on what would normally be a quiet day for us, is emblematic of the direction in which we are going – we are stepping out of our comfort zone to make a stand in faith. It is uncomfortable to take a stand. It means being different. It means being risky. It means doing something that people like us never do! We always plan everything. We never just go for it. Until now. “It is easy to resist taking care of yourself if you run at full speed as though you are the only one who can get things done. We all need to set priorities, making sure we focus on Christ and not let that which is transitory rule our lives. If you pay attention to your health, family and spiritual life, everything else will take care of itself. Don’t let your life be so full of work that you don’t have time to focus on the things that bring you joy. Pay attention when the Lord is calling you to slow down and place your rest in Him. If you focus only on the things that haven’t been done and ignore the little things that bring joy to your life, you’ll find yourself in a rut. If you are constantly thinking of where you’d rather be living, or the job you’d rather have, or the work that still needs to be completed, you’ll wake up one day and realize all you’ve needed for happiness has been right in front of you. 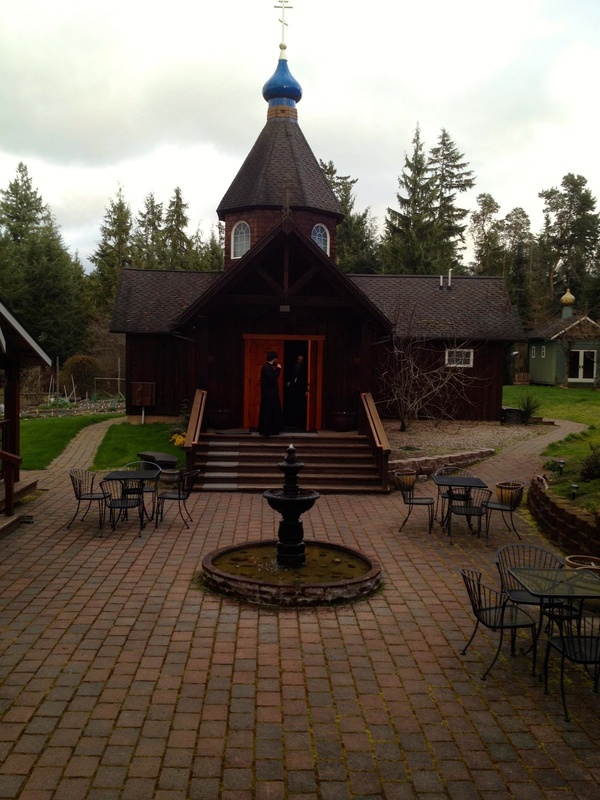 Don’t wait to enjoy what you already have.” (Abbot Tryphon, All Merciful Savior Orthodox Christian Monastery; Vashon Island, WA). This commentary on modern life sums up almost perfectly the conclusions my husband and I have come to, which in turn motivated our step-out in faith. My husband realized that he has been missing life; it is passing him by; we both stopped and realized that so many years have gone by and we somehow feel like we missed something along the way. 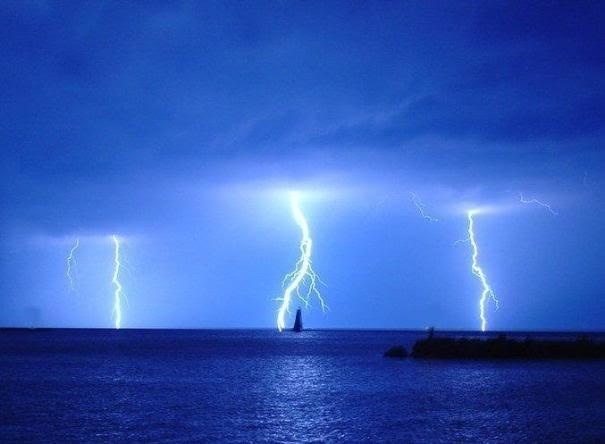 When we relocated to the Pacific Northwest, so many of our friends were concerned for us because of the different weather pattern, most especially all the days of darkness and wetness. My husband noticed no real changes. He told me that even in SoCal, weather really wasn’t a factor in his life. He never noticed missing the sunshine. He said he would drive to work in the dark, and drive home in the dark – up here or down there, it didn’t make much difference. And that gave us both pause to think: why did he not notice there was no sunshine in WA? He worked so many hours, he rarely saw it anyway! Because he was missing the sun, what else was he missing? What were we all missing? Both of our older sons’ wives are expecting babies right now. One of their wives is due in May, the other in October. For our older son, this is his second child. Our youngest son, aged 14, came downstairs the other day and we just stopped what we were doing and looked at him. He had just showered and shaved and he looked – well, he looked a lot older than he had the day before! When did our 5-week preemie grow up to be a father, expecting his second child? When did my curly-mopped blondie become a college graduate, married man, and expectant father? When did our 14-year old start regularly shaving? Time passed has us by and we did not notice. Our lives have been “so full of work, that you don’t have time to notice the things that bring you joy,” to quote Abbot Tryphon. We have allowed the ‘busy-ness’ of life to interfere with living our lives. We’ve created this bubble around us of habit. Early mornings and late evenings, living the demands of life. And we are sort of grabbing onto the shirt-tails of our youngest son. Don’t misunderstand, our children’s younger days were a joy. We homeschooled both our older sons until they went to Catholic High Schools, and they have been involved in Little League, and Ice Hockey leagues, High School sports teams, and even Rugby. So we did a lot with them. We used to go hunting with our Springer Spaniels regularly; we had many wind surfing weekends and times spent traveling across states to spend vacations with extended family members. Our youngest son is still homeschooled and he is involved in Scouting as well as the Civil Air Patrol, so we do a lot with him, as well. It is just that when you finally do stop and re-evaluate your life, it is surprising to realize that it has been 30 years, the kids are grown and wait a second – we want to slow this process down a little! Now we are taking deep breaths, praying, and we are moving 2600+ miles to be near our oldest son and his family. We want Sunday dinners and grandchildren running around the front porch. We want the chaos an extended family living nearby brings. We want more hours of the day invested in these last precious years we have with our youngest son at home. We want to take the time to know our adult children as adults, to enjoy their company, and to relish those moments of being grandparents. We want to slow this ridiculous pace down and be able to languish in the long coffees we share with our children, and the cookie-making-moments with our grandchildren. 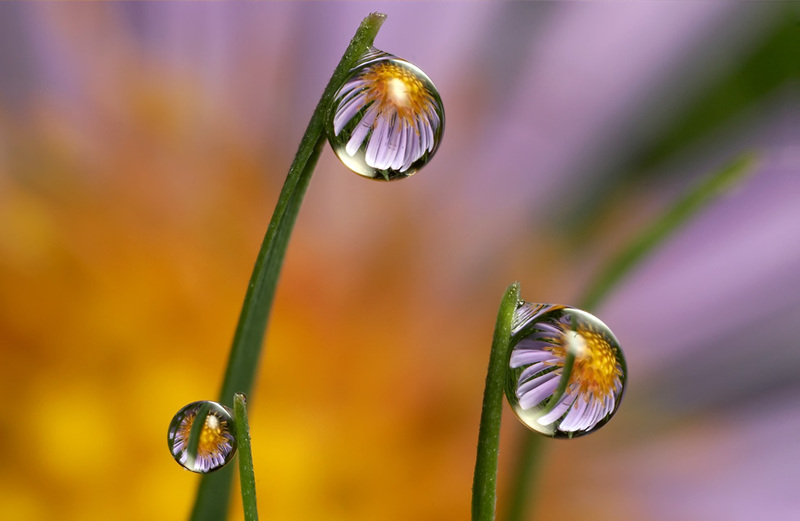 We want to hold onto and relish life, realizing that “all you’ve needed for happiness has been right in front of you. Don’t wait to enjoy what you already have,” as Abbot Tryphon is warning us. (St John Climacus) We firmly take hold of the promise that, “He grants the prayer of him who prays.” and we step out in faith, clinging to Our Lord. The next few weeks, we will be outside of our comfort zone. 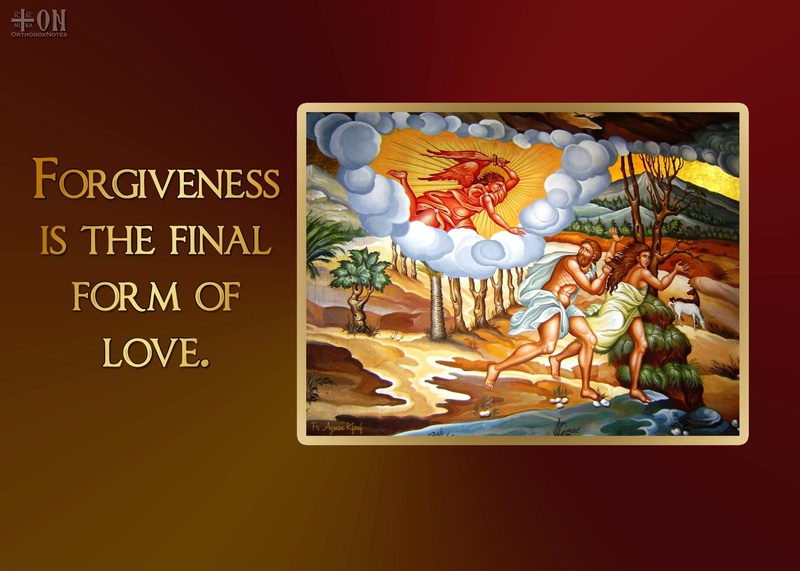 We will begin this new era of life by changing how we celebrate Holy Week and we will move on from there. My husband is with our son, at the Scouting event, sharing time with him. It is one tiny step in faith towards a life lived, keeping these words in the forefront, “Pay attention when the Lord is calling you to slow down and place your rest in Him.” We rest in His promises and we move forward in prayer. I think it’s good to shake things up a bit now and then; and I am eager to explore this non-comfort-zone part of our lives and see where it leads us. As we prepare to shout, “Alithos anesti” “He is Risen”! “Haqan Qam”! “He is Risen”! we also prepare to take a step out in faith. In our tradition, this simple, humbling act is symbolic of the servant’s nature present within our priests, but it is also supposed to remind us that nothing is too humbling or difficult for us to do, when serving our neighbor. Even the Old Testament says, “Do not seek revenge or bear a grudge against anyone among your people, but love your neighbor as yourself. I am the Lord” (Leviticus 19:18). I have a neighbor who makes it very, very difficult to even be gracious towards him. He is one of those finicky people. His yard, his car, his home, his personal appearance (never a hair out of place) – always perfect. At first, I thought it was me; perhaps we just clash? But no, after having tea with a neighbor, I was told he inserts himself and his wishes for the neighborhood, upon everyone. At least I am not alone! Ha-Ha! He will smile at you, while chastising you for not picking up dog poop often enough, not mowing as often as he does, not trimming your trees back enough (I heard a noise out front one day and there he was, on a ladder, trimming the tree in MY front yard!!). And when I deal with this person, I try very hard to remember the words of Leviticus and to not bear a grudge; to realize this is the way the man is and to always try and bear him good will; and at the very least, a smile. If I cannot manage to love a surly neighbor, how am I supposed to love an actual enemy? And if I cannot love those who hate me, how can I love my Father in Heaven? Christ preached an important sermon we refer to as the “Sermon on the Mount.” At the very end of this sermon, wherein we get the wonderful Beatitudes, He says, “You have heard that it was said, ‘Love your neighbor and hate your enemy.’ But I tell you, love your enemies and pray for those who persecute you, that you may be children of your Father in heaven. He causes his sun to rise on the evil and the good, and sends rain on the righteous and the unrighteous. If you love those who love you, what reward will you get? Are not even the tax collectors doing that? And if you greet only your own people, what are you doing more than others? Do not even pagans do that? Be perfect, therefore, as your heavenly Father is perfect.” (Matthew 5: 43-48). From this verse alone, I am called to love my cranky neighbor, as I love myself. I need to pray for him, perhaps to soften his heart. I once commented to him, when he was complaining about us not trimming our bushes (he has to look at them out his window) that, “We will never be good enough for you.” My husband got angry because I said that, and my neighbor’s wife (who is the nicest woman!!) chastised her husband because he was being rather nasty that day. He later, in a way of apology, told me that he often speaks before thinking about what he says and that he means well. He also said this house is a huge investment for him and he wants it to look good all the time. We live on a golf course with no fencing – at all – between our houses (or at the back of them), so you do see everything about your neighbor (I actually keep my blinds closed on that side of the house unless it is a blaringly sunny day, because I feel like I live in a fishbowl!!) and noticing bushes, etc. is an obvious thing to do. I am called to do an over-abundance of prayer for my neighbor; he has no faith life. He asked my husband one time “what” he was, because he saw us leave for Divine Liturgy and Melkite Deacons wear the long habits most people associate with priests or monks, along with some funky hats. It is very noticeable. It was a good conversation and our two families benefited from it; he smiles more these days! And I am hoping we are being a positive example to him of living our faith. And for our part, we are trying to trim bushes more often and get the dog poop that somehow gets too close to his property line! I think we are making progress, albeit slow progress! As a servant of the Church community, being a Deacon is something that my husband loves so very much. He is happiest at the altar, and as happy serving the people he cares so much for when he can. At our parish, he would remodel the bathrooms, repair the kitchen, and serve the Lazarus Meal we hosted weekly. Being the wife of a deacon is interesting and I love it. In our old parish, it was so very special. The community called me “shamaseea”, which roughly translates to “deacon’s wife.” (Please forgive me if I misspelled the Arabic). The older ladies, especially, would always come up to me and cuddle me and hug me and speak in a language (Arabic) I did not understand, but the translation was not necessary – they appreciated the fact that we were there to serve the community and they appreciated the years of schooling my husband had gone through to serve them, and the sacrifice our family made for them. 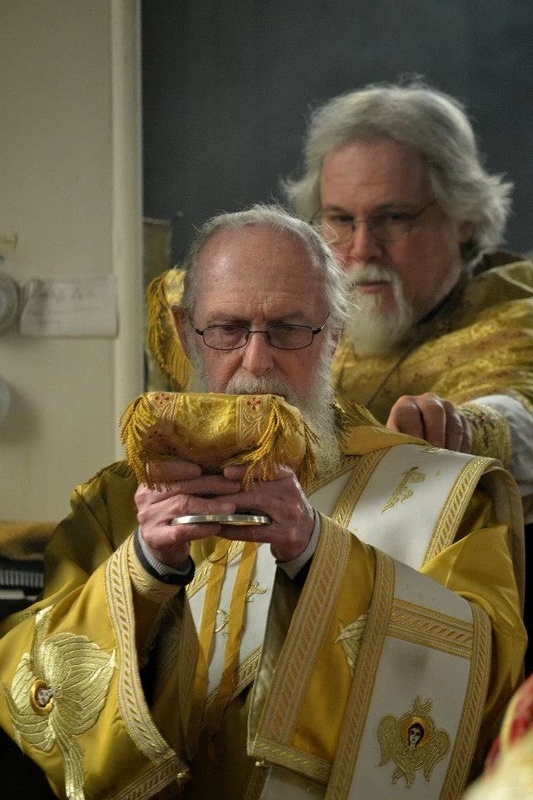 In our Melkite tradition, you don’t simply just “become” a deacon. If the calling is there, you approach your priest; you attend some meetings with him in the discernment process and learn the extent of your calling. Once the priest is convinced you have the call to be a deacon, he then asks the community, “Is he worthy?” And the community shouts, “Axios! Axios! Axios!” – “He is worthy”! And when the deacon is ordained, as the stole is placed on his shoulders, again the community shouts its approval with, “Axios! Axios! Axios!” What an incredible feeling to know that your community supports you in this service to them. I wept as my husband received his stole and he stood there, amongst the shouts of our community. It is a day I will never forget. One of my favorite photos is of my husband standing with our Bishop and parish priest at his ordination. What a blessing. Axios! We are all worthy to serve. As our priests wash the feet of their parishioners this evening, as Pope Francis did earlier today in Rome, we are reminded that we are called to serve each other and we are, each of us, worthy of that call. We can serve by helping feed the homeless (or underemployed) as we did at our old parish. I can honestly say it was one of the most humbling, but most exciting things I have ever done. I miss the days of packing up my kids (they were all still at home then) in our Suburban, driving to the local food bank that provided almost no-cost food to homeless kitchens, and loading that suburban to the rafters. We would then drive across town to our parish and unload the car, deciding how we would feed the 100 or more people we would see that evening, with the food we had just bought. I loved the preparation with all the Arab ladies in the kitchen; I even loved the clean up afterwards! We laughed and they told stories in their broken English and it is a treasured memory for me. After we prepared the meal, we welcomed those waiting in line to get in (sometimes it was overwhelming, the number of people who needed our meal) and then we would seat them just like at a restaurant, and then serve them. We enlisted the local Catholic High School to help us as a service project for their kids, and each week dozens of teens came to serve the poor and homeless. Afterward, we would walk to the Church itself and have Vespers. We were sweaty (SoCal is hot most of the time) and stinky, but felt so very good at the labor and effort we had just put forth, to serve our community. Quite often we had the poor and homeless join us for prayer, just to see what we were all about. I miss that ministry the most out of moving up here! This operation was small in comparison to many out there. We survived on donations from our parish, and the generous people at the food bank. But we “fed” our neighbors, none of whom were Melkite. We even got the Coptic Church involved, and they would come once a month and prepare Egyptian food for the homeless. It was a glorious thing to see. There are so many, many opportunities just like that, if we but look around and notice the needs of our neighbor! Sometimes it is praying with someone, or a conversation; sometimes it is assisting the elderly; sometimes it is donating instead of selling our old things; sometimes it is just noticing someone who is hurting and quietly offering a prayer for them. I think the lesson I take from Holy Thursday is that it is up to me to be the difference in the world around me. If I affect, in a positive way, every person I bump into along my day, I have made great strides for the Kingdom of God. I may be the only “Jesus” a particular person sees that day, or ever. Up here, where we live, less than 6% of the population is churched, so it is a distinct possibility! I am called to roll up my sleeves and assist when I see a need. Think how the world would change if we all washed the feet of our neighbor! Do not be afraid of the thief who comes in the night (cf John 10:10 or Luke 12:1-7) but rather afraid of our own indifference to the suffering of our neighbors. Holy Thursday is the beginning of an intense three days (the Holy or Easter Triduum) culminating with the Resurrection of Our Lord on Easter. What a wonderful contemplation of service to our neighbor, to begin these Holy Days! Praise be to God! I firmly believe in the Resurrection of Our Lord, for without that, our religion would not exist; without Easter, Christmas is meaningless. That being said, I think that the traditions that have sprung up around these Holy-Days (aka Holidays) bring an added dimension to them. Yes, there are those who ONLY know about the Bunny. They ONLY know about chocolate eggs and dressing up and hunting for candy eggs. Religion does not enter into the equation at all. I get that. Perhaps it is because of my education in Anthropology and History, that I love all the traditions (small t) that surround these Holy Days of ours. (Why do we hunt for eggs at Easter? Hmmm…hint: someone was missing from the Tomb and was being sought). Some pessimists posted under pictures like the one above statements like, “It is a pagan holiday anyway; the Church stole it.” and “Christ wasn’t born in wintertime; they stole that pagan celebration, as well.” Yes, the Church stole those dates. It was easier as the Church was growing, to incorporate the local traditions and cultures and expound on them, using what was in place to further explain our faith. St. Patrick is famous for using the 3-leaf clover to explain the Trinity, and it became “lucky.” The Church used holidays for new birth and coming forth in Spring as the perfect time for Christ to emerge from His Tomb, the Risen Lord. It made sense. Slowly, over the centuries, many traditions (small t) grew around these Holy-Days and only enhanced the wonder and joy of them. Re-birth, spring flowers, sunshine emerging from a dark winter (why do so many Christians gather for “sunrise services” on Easter Sunday?) and empty crosses…all symbolic of the emergence from Hades (for 3 days), from death, from His tomb – of Our Risen Lord. One of the most profound things I love about the history of our faith is the history of the construction of our Churches. Western, Catholic churches, first and foremost, are in the shape of a Cross. Also, in European, western culture, very few people could read. So the builders of our oldest Cathedrals, at the instruction of our Church Fathers, incorporated incredible stained glass windows to tell the story of Christ, the Church, and its Saints. Statues were made, depicting episodes from the life of Christ. The Pieta is one of my very favorites. There is a saying, “A picture is worth a thousand words.” The early Church builders and Fathers of the Church, knowing the poor education of its people, created a special place where the tenets of the faith could be shown in picture and statue form. A person would walk into a Church and be in a different realm, a heavenly realm, a place where God would be present in his people, in His temple. And their senses were enveloped by the sights, sounds, colors, and smells of their faith. In the East, the tradition of the Icon was developed. The beginnings of iconography are in the Catacombs themselves. One of the first images shared by Christians is of the Fish, emblazoned on the walls of the Catacombs, guiding believers to the liturgies being held in secret in pagan Rome. The first Icon by St. Luke is an incredible story. 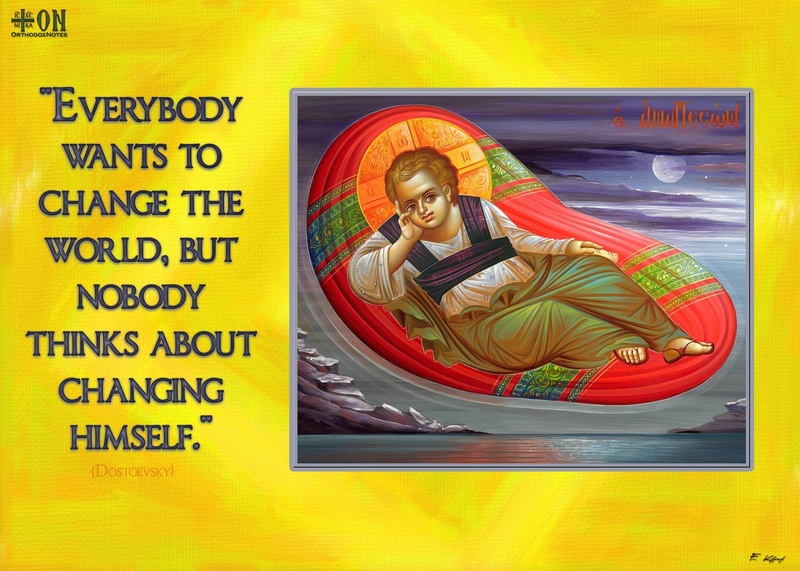 (http://www.stlukeorthodox.com/html/iconography/iconhistory.cfm) The Byzantine and Orthodox believe that Icons are the window to the soul and tell a story. Everything in an icon is symbolic; they are not meant to look realistic in the sense of a Raphael painting. We do not paint icons, rather, we write an icon. The icons fill the Eastern Churches with an other-worldly sense of the sacred. With the colors on the walls and ceilings, the candles, incense, and icons, you enter into a deeply reverent, heavenly experience while still here, on earth. Most Orthodox and Byzantine Churches do not have pews. The meaning behind it is pretty profound. We do not kneel – we stand in the Presence of God. For example, when the President or other dignitary enters a room, everyone stands. How much more should we greet Our Lord, Who is present in His Temple? The western tradition of kneeling comes from (this is what I love about learning history) the way a knight would kneel in the presence of his lord and master, often for the first time when being knighted. This is a medieval tradition, carried over into our western liturgies. In the older, western Cathedrals, there are no pews, either. The pews came in slowly, for the royals, and were boxed-off from the regular people, to keep the peasants away from royalty, as they worshiped. Slowly, pews were extended for everyone. In the Anglican Church (and many Episcopal and Lutheran churches), boxed pews are still reserved for those with higher status in the community. In the East, the kneeling and sitting aspects of common worship did not wend their way into our liturgical tradition. These traditions, which surround our Holy Days, are ways the Church, in Her profound Wisdom, has helped us to preserve what we believe. Songs, hymns, prayers, eggs, and certain foods, drinks, and attire – they are all a part of our celebrations. I believe that if we destroy them, in a rush to be politically correct, we will loose far more. It is our job as parents and educators of our children, and evangelists in our own communities, to share where these traditions have their roots; the whys and wherefores can be profoundly moving. One of my dearest friends and I were talking yesterday and we spoke about friendship. One of the fallacies that we allow to perpetuate in our children is that concept of “best friends;” or even the term of “friend,” itself. We truly have very few friends in life. We have fellow Christians (I am grouping all of us together), co-workers, neighbors, relatives, acquaintances; yes. I do not think, any longer, that I have to maintain relationships after their expiration date. God brings people into our lives for a time and a purpose and when that is over, it is okay to let that relationship go. This is another of those traditions that we carry on, but our Church Fathers tell us that we need not cling to people. Scripture certainly tells us about keeping others away who do not believe as we do. An earlier post of mine dealt with this (Avoid Conversation with Him), so I won’t dwell on it here. But as my friend and I spoke, we shared so many things that unite us as friends. We have history together (we’ve been friends for more than 20 years) and we have a common faith; a faith we use to hold one another up when we cannot be in the same room, or even the same state! The traditions of the Easter Bunny and Santa Claus, those are much the same thing. They are acting as magnets to a greater truth. My friend stimulates me to be a better woman of faith; acting as a magnet, as it were, to my better self. 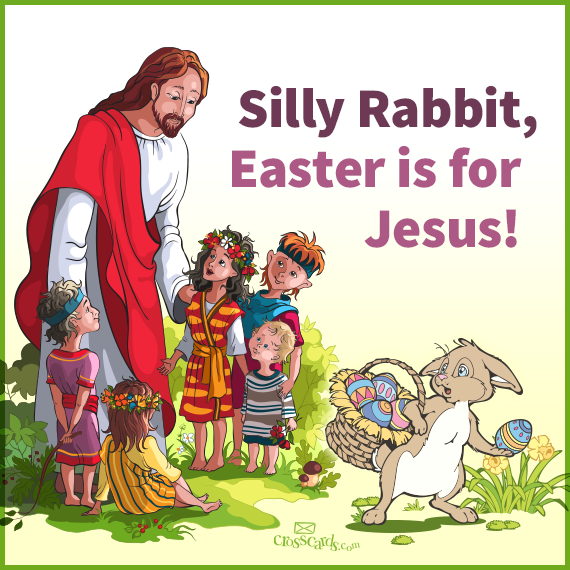 A saying keeps popping into my head – “Don’t throw the baby out with the bathwater.” And I cannot help but apply that to our commercialism surrounding Easter (and Christmas). I always buy my kids summer outfits, water pistols, kites, swim trunks, flip-flops and t-shirts, etc. They symbolize our walking into a new Season, a Season of Light and Faith…a summertime! Celebration and fun! The fast is over! Christ is Risen! 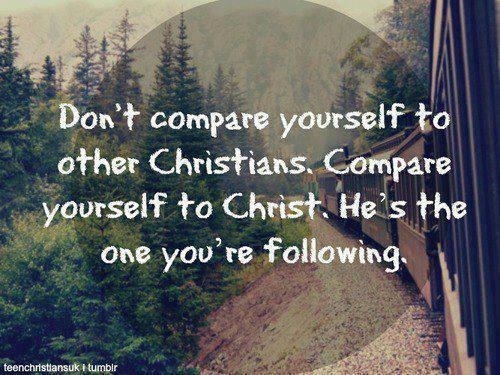 Glorify Him!! I rarely buy chocolate Easter bunnies, but usually find a chocolate Cross…my insertion of a visible Christ into these Springtime traditions. So many things about Easter – baskets, eggs, green grass, hot-cross buns, etc. are rich in tradition and I choose to keep them in, being perhaps not as correct as some of my fellow Christians. For those of us who are steeped in the traditions of our faith, we have tiny reminders all year around, of this faith to which we cling so mightily. The ones we celebrate with each season only enhance our faith; they do not detract from it. I love these traditions and I love celebrating Easter and all our other Holy Days, with all the traditional hoopla involved. We brought a new tradition to a Latin Rite, Roman Catholic parish one year and they absolutely loved it. 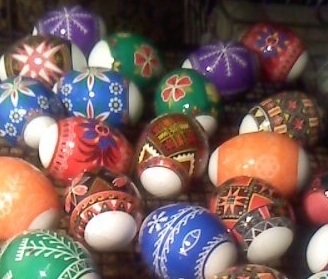 We introduced them to red Easter eggs; they also were treated to onion-skin-dyed eggs (an Estonian tradition I learned as a child) as well as intricately designed Ukrainian-wrapped eggs. It is an amazing thing, to bring our faith to others…and I love everything about it. 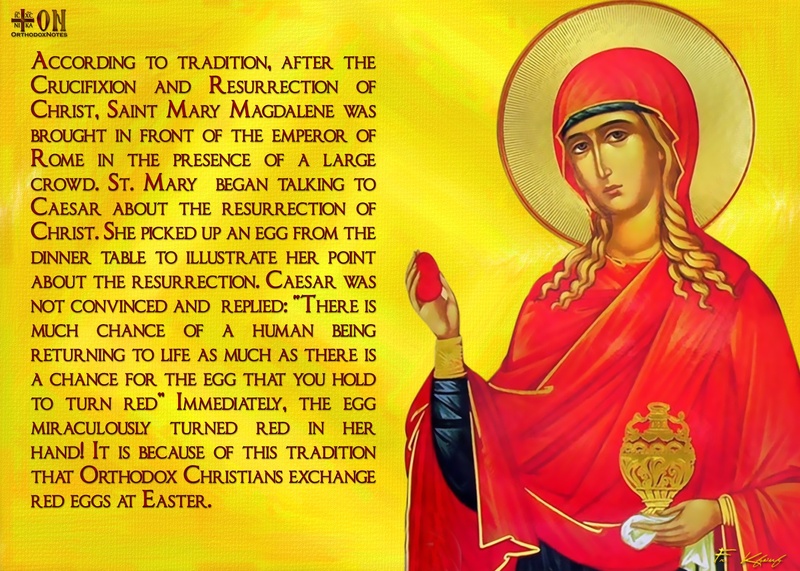 To share just one of the myriad of traditional Easter celebrations, I will leave you with an interesting insight into the Byzantine and Orthodox tradition of Red Easter Eggs. 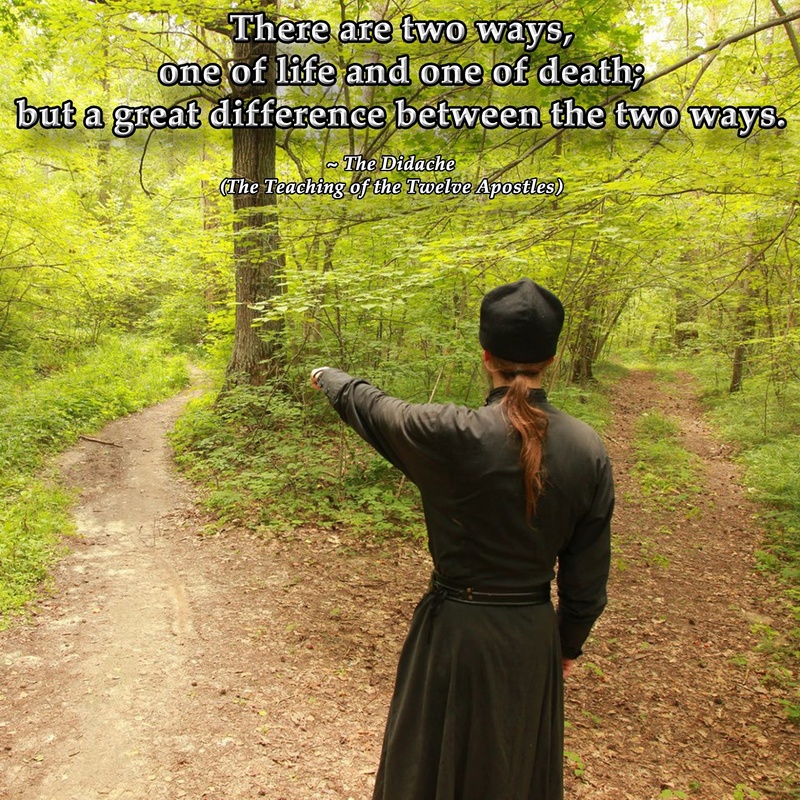 (St John of Kronstadt) This quote of St. John was posted on the Brotherhood of the Holy Cross’ Facebook page earlier, and it’s been eating away at me. Dostoevsky’s quote seems to go along with this quote from St. John, too. I have struggled most of my life with trying to win the approval of others. I always feel like I fall very short because their scales, their method of measurement, are so very different than mine. I have tried to approach things with their perspective, but just cannot seem to do so. At various times in my life, I was far removed from religion. I certainly did not practice the Christian virtues in any way. In those times, I was more in step with those who judged me, because their perspective seems more in tune with worldly values and accomplishments. When I chose a different lifestyle and chose to become a different person in my life, it became apparent we lived very disparate lives. As I have aged, and hopefully matured, I realize that comparisons are rather silly. I can never be those who look at me; those who judge me….they are on the outside of the person I am and they are pursuing their own desires, their own answer to the same questions we all have: “Who am I?” “Why am I here?” “What is life for?” “Is there a greater power guiding all this? “Is there a God?” And I recently have been able to reflect, and to let it all go. I am no longer comparing myself to others who seem to be exceeding their own expectations. I am no longer in the same race; I took a step back and stepped out of it! And that is a humongous difference and a huge weight off my shoulders. I can honestly say that since I have become more in tune with the peace of God in my heart, deeply felt within me, I have given up participating in their race. I run my own race; my personal race to eternity. We keep the goals we are after in front of us, always, to spur us on in our journey. For example, we are relocating near our oldest son. I keep a photo montage on our refrigerator of his family and my visit with them in January. When I get down or disgruntled with how this move is progressing, I go and look at my grandson, at my son and his family. It keeps me focused on where we are going and why! Our mantle had family pictures on it. As we decorated for Christmas, I packed them away. Once Christmas was over and that was packed up, my mantle was bare. So I relocated our Icon corner to front and center on our mantle. For me, it keeps my eye on the prize. And quite honestly, the noise, the clutter, the chaos that others bring to my life through their judgements and their opinions, are fading away. They no longer concern me, guide me, or inform me, because I realized that it is just…opinion. Using their methods of judging me, I will never measure up. I will never be the perfect daughter, sister, mother, friend. But I can be the perfect Child of God, because God loves me no matter what, and uses no scale to measure me against other Christians. The only measuring I am concerned with is how God perceives me, how God wants me to be. And I believe that if I can mirror the message of Christ effectively, all these other scales and issues will fall by the wayside, because Christ’s message is of perfect love for others. (“This is my commandment: that you love one another as I have loved you.” John 15:12) He gave His life for me, and for each of us who heed His message. He did not come to save everyone, because many, many people choose not to heed His message. For those who opt to live their lives for the moment, for the fullest enjoyment that this life can offer, that is what they can find – here. I pray that when they meet Christ at their death, their repentance is sincere and they choose wisely; they choose eternity with Christ. Spring is trying to break through. 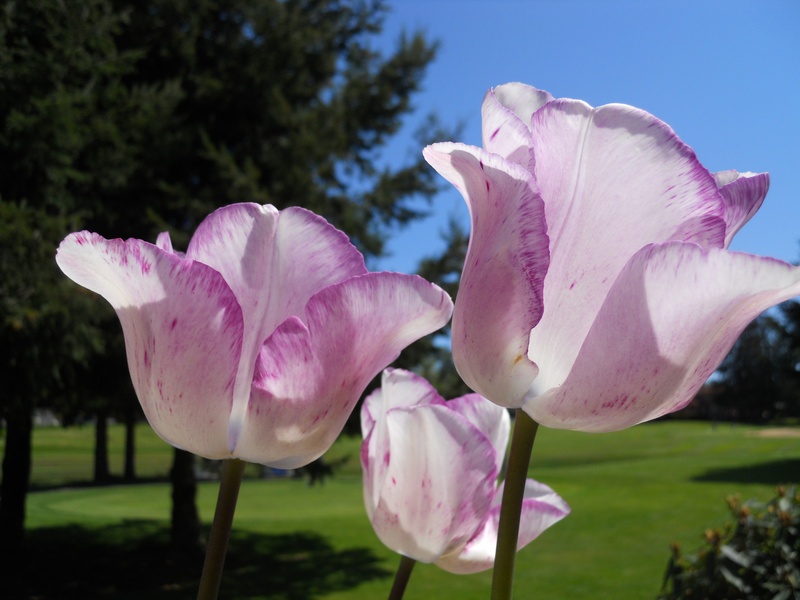 Spring is a time of rebirth, or rejuvenation. In its wisdom, the Church gave us Lent to prepare for the glorious day of the Resurrection, when rebirth, the rebirth that matters, takes place. 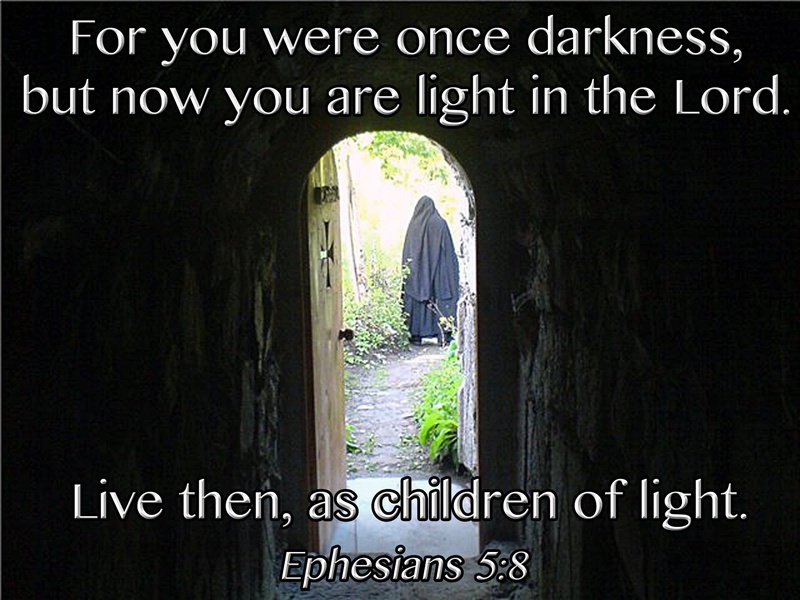 God overcomes the world, the sting of death, and grants us eternal life. Wow. Every year, we are given this gift. Every year. We have been endeavoring to keep the fast each day. We have not been as successful this Lent as we have in the past. Things are so upside down right now, that keeping the strict fast has fallen by the wayside. And it shows. I think both my husband and myself have gained weight, eating junky meals and not paying attention to our overall health. We have decided to change that. One of the reasons is that we are feeling older than our years and we have all these new grandchildren we want to keep up with! We want to be the fun grandparents who play with their grandchildren. And we still have a teenager in the house! To that end, we have opted to eat a more raw, simple diet. Today is day #2. We got this new thing called a NutriBullet and what it does is pulverize your food to a drinkable liquid, the texture of which you choose for yourself (more water, less thick, etc). It is like a smoothie, only everything you put in there is dissolved to its molecular level, making it more “bio-available” to your body (stems, leaves, seeds, skins, etc). This morning I had (all fresh) spinach, blueberries, blackberries, banana, flax seed, and water in my “Blast.” It is filling and tastes so good!! Yesterday’s “Blast” had strawberries instead of blackberries, but I am a blackberry lover, so I changed it up! Tomorrow I might try peaches and pineapple! It is changing how I shop and what is in the cupboard and refrigerator. And it is also making our nutrition simpler, fresher, and basic. The teenager is balking a little bit, but I am sure I can win him over!! Taste and texture are everything, not to mention drinking something green goes against his better judgement! Ha-Ha! Today I added a little organic vanilla to his and he’s drinking it up. 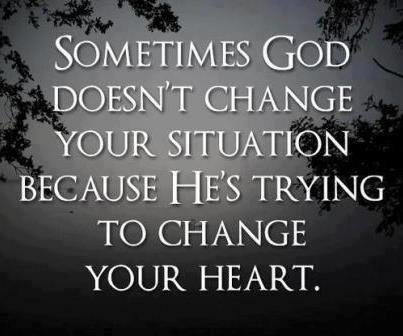 The point of this is that I am working at overall change during Lent. I am refocusing my prayer life, my internal core of spirituality, and now the body that houses all of this. I think that it is time I took my life and how I approach it, in a different direction. I was shown so clearly through reading Elder Thaddeus, that we need to separate ourselves from the world and become more in tune with God and His plan for our lives. We are a cluttered, noisy, overweight, poorly nutritioned, hedonistic society; a culture lacking in the serenity of the peace that only God can give us. “If it feels good, do it!” I think that by cutting back, turning off, and tuning out, we can work towards the best relationship to Our Lord that we can, while still being in this world. Most of us were called to the married, family life and we are not monastics. But we can try to live as closely to it as we can. We can turn off the TV, we can back away from media influences, and we can spend more time in simple pursuits. We can read a spiritual work rather than watch some inane program where we tune out emotionally anyway! I am praying that when we move I can grow these fruits and vegetables we eat, that we can hunt and fish for the mainstay of our diets, and we can get in shape – physically, as well as spiritually. Today, I am high on the hope scale! Today my cup is a little more than half-full. Today I am optimistic for the future I can carve out for myself. Little steps, little changes, and a re-direction of priorities can make all the difference. (I am smiling). We need to acknowledge that we are in this world….I keep reminding myself every day, that I am not special, not different, but that I can choose to live differently; I can choose to approach all things in my life in a simpler, more direct manner. Elder Thaddeus reminds us that: “A materialistic person cannot understand a spiritual person. Anything that a spiritual person says is fantasy to a materialistic person, because heavenly logic is completely different from the logic of the world. However, when one talks to a materialistic person one may bring him to the conclusion that there is, after all, something that moves the world, and that there is harmony in the universe and disharmony on the earth.” He goes on to say, “We Christians have been called to spread upon the earth the atmosphere of heaven, eternity, love, peace, truth, and stillness. But it is very difficult, since from our youth we have learned anger and disobedience; we have become accustomed to returning blows and to approaching everyone with distrust and reserve. We have accepted much evil into our hearts, and now we need to get rid of it.” Elder Thaddeus, once again, speaks to me and my life. I am so blessed to have been able to learn from his wisdom. Using his lessons, I have been able to allow others to get angry with me; I have been able to let things happen, which are outside my control, and not get upset about them. 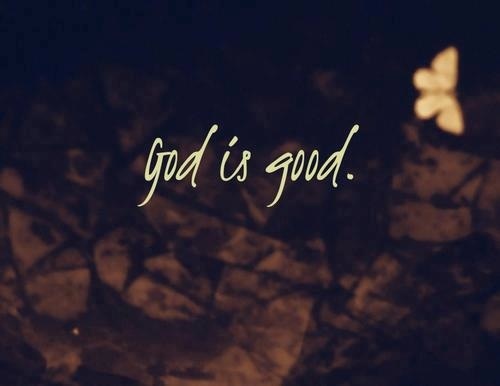 I still feel that initial pain, that hurt or that anger, but I am able to calm myself and remember that all things happen for God’s good. (“But we do know that all things work together for good to those who love God, to those who are called according to purpose.” Romans 8:28). I am also learning that these little hiccups in life are sent by a loving God Who wants what is best for us, and is training us for His plan in our lives. I have mentioned this before, but a priest friend used to tell me not to pray for patience, because that was when all hell would break loose….because God had to teach us patience. It is not a gift that descends upon you and you automatically become more patient; rather, it is a learned attribute or characteristic. Taking that idea and applying it to other areas of my life, I know that these little kinks in our plans, the things we think are going to happen but often do not, these are all ways the Lord is reaching out to me, trying to hone me into a better child of God. And what better time to focus on improving myself, than Lent! “There is a constant struggle between good and evil. We wish to be good, but the spirits of wickedness do not want us to have a single good character trait, only bad ones. This is why we must fight. We cannot fight on our own, but the Lord is our Protector, for as soon as we ask Him sincerely to help us, He will immediately come to our aid.” (Elder Thaddeus). And it seems that when we focus in a strong way on improving ourselves, that is when we are beset with troubles. Because I have taken these lessons to heart and am earnestly trying to apply them daily, the hiccups seem to go away a lot quicker. They just need that “spoonful of sugar” to help them go away – they require my earnest prayer, my sincere supplication to Our Lord. 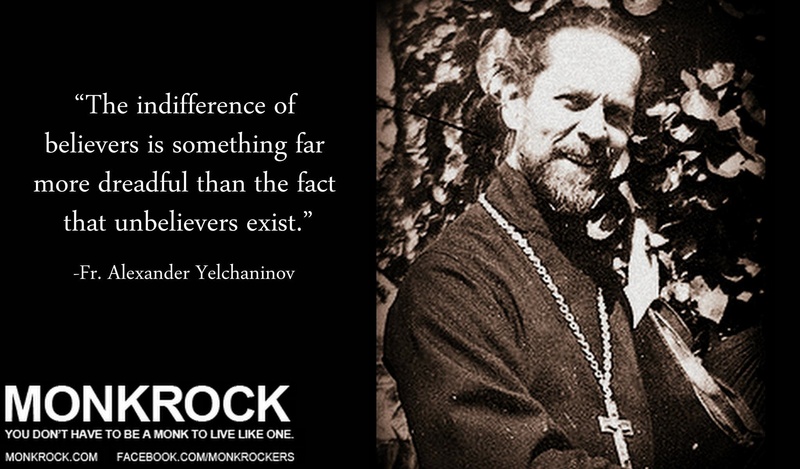 Once again, St. John of Kronstadt perfectly states what I can take 1300 words to say! I also wanted to share that this journey continues on, through and past Lent. Because in the light of the Resurrection, our heightened experience of the Risen Christ will only inspire us to a greater, stronger, truer relationship with Him. There are tones, refrains, and sayings that are reserved for the days immediately following Easter. I cannot wait to sing them, to say them, to think them. This weekend is Palm Sunday for us on the western calendar. This weekend is the weekend Our Lord was led into the city a hero, someone the crowds adored. How quickly the tone changes; how quickly the adoration faded. It is through the Church that we are given the opportunity to annually re-apply ourselves to our faith, to our personal journey, so that we are not led astray by the change in tone, by the crowds around us in this wacky world. I sat in my car last evening, during a pretty amazing rain storm, and was reading Elder Thaddeus’ book, “Our Thoughts Determine Our Lives,” when I came across that quote above, in Chapter Twelve – Inner Peace. I found it so perfectly timed for me to be reading this particular chapter, at this particular time. God works through the instruments He provides us – people, places, situations, even things. The Lord prompted me to begin this Lenten journey with a desire to find peace. And the instrument He provided for me was this incredible book. It seems like each time I reach for it, my spirit is waiting for more illumination, poised and ready to grow in faith. And every time I read this book, God speaks to me through His instrument, Elder Thaddeus. My husband is the one who bought it and he originally found the book at a shop we were visiting, looking for a gift for our future daughter-in-law, and an icon for the first home she and our son would share. God lead him to this book and finally brought the book to me; we are blessed. Today, we had an amazing weather pattern in this area. We had a downpour quite early this morning, around 7am or so. Then we had the most beautiful skies. Within an hour, the sun was gone, and huge, black clouds had moved in, and the wind was howling. Before we knew it, the rain began to pelt the house. It was so loud, we stopped what we were doing and went to the patio – it was hailing! In less than an hour’s time, we were graced with sunny skies and these gorgeous, puffy, while clouds. Well, it’s been about three hours since then and we have seen it all – sunshine, incredible rain, howling winds, flying branches, more rain, and a drop in the temperature to the low 40s; the winds have not let up, yet! 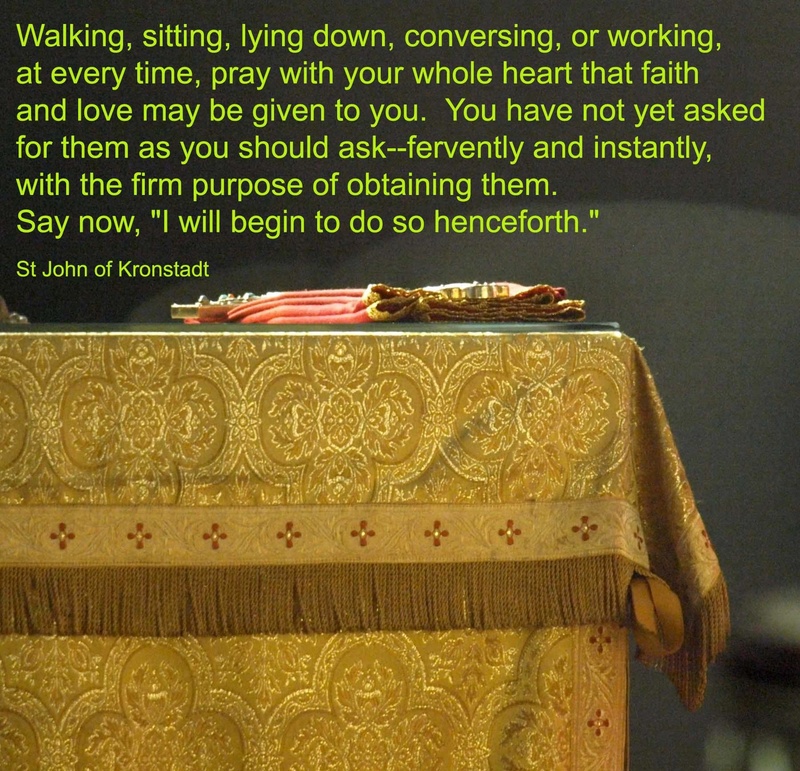 This weather prompted me to remember this particular quote by St. John Kronstadt (one of my favorite saints) and to recall my Lenten journey, as well. Elder Thaddeus further states, “We must always be vigilant. Vigilance and discernment are the things we need. 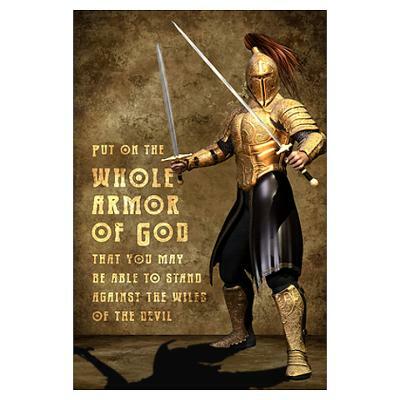 The Lord said to Joshua, son of Nun, ‘Whatever you do, think it over carefully.’ (Joshua 1:8) If at first we believe that what we are about to say will be to someone’s benefit, but then, after we use our discernment, we decide that our words will only hurt the other person, then it is better to remain silent. Everything should be done with discernment. When one uses one’s discernment, then one is also vigilant.” I believe this to be some of the best advice I could hear. So many sayings over the years urge us all to more silence, and I know this has been one of those areas in my life that has always needed work! I am a woman and we tend to gab more often than our male counterparts, but keeping silence instead of jumping in with both feet, can quite often be the better play. Lent is a time when we take ourselves a further step away from the world around us. We step back from gluttonous behavior in all aspects of our lives…in eating, socializing, media “ingestion,” unhealthy habits, etc. The goal is to replace those things with things that encourage our spiritual life. Elder Thaddeus tells us that, “You should learn to love little things. Always try to be modest and simple in everything. When the soul is mature, God will give it peace. The Lord looks upon us and is pleased when we yearn for His peace. Until such time as the soul is mature enough to receive the Lord, He will only sometimes allow it to see and sense that He is present everywhere and fills all things. These are moments of indescribable joy. 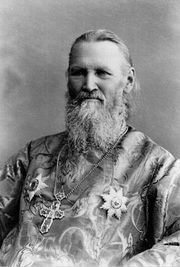 But after that, the Lord hides Himself from us once again, in order that we might yearn for Him and seek Him with all our heart.” I think this is what St. John Kronstadt was alluding to in his quote at the start of this post. When we look at the times when we felt further away from the Lord, our lives were in turmoil! The Lord granted me a glimpse of Him one day, and I believe I shared this in an earlier post, but it occurred during a Presanctified Liturgy one year. At the procession with the Presanctified Gifts, as Abouna (Melkite Greek Catholic/Arabic term for “priest,” which means more like Daddy or Papa – it is a term of affection) passed by me carrying the Presanctified Gifts, a corner of his cloak rubbed over me (I was prostrate at the time) and I felt like a jolt of lightning had passed through me. Later on that same week, when Abouna and I were having a chat about something else, he mentioned the moment to me. He had felt that same thing. It reminded us both of the Scripture that said, “But Jesus said, “Someone deliberately touched me, for I felt healing power go out from me.” When the woman realized that she could not stay hidden, she began to tremble and fell to her knees in front of him. The whole crowd heard her explain why she had touched him and that she had been immediately healed. “Daughter,” he said to her, “your faith has made you well. Go in peace.” (Luke 8:47-49). It has become, for us both, a moment of sublime faith. And left me wanting more! God is leading me on an incredible journey and the one thing I can say that is different, is my core. You know how the fitness experts tell us we need to exercise to have a strong core? That is what this feels like. As if I have been doing spiritual exercise to build my inner core, and it is getting stronger. The other day I felt derailed, like my foot had been ensnared by evil and I was being dragged down but today I am feeling pretty good. And I do believe the difference in my growth right now is my inner core, my soul, has been getting stronger. You know what they say? “No pain, no gain”!! I have been tested and I have still felt this inner calm, this peace, that my “bumps in the road” have not shaken. I have felt put upon and lost the quiet I love having inside, but I quickly pray and it is back, again, stronger than ever.